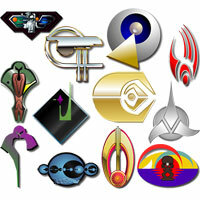 These are logos from a few major civilisations seen in Star Trek. 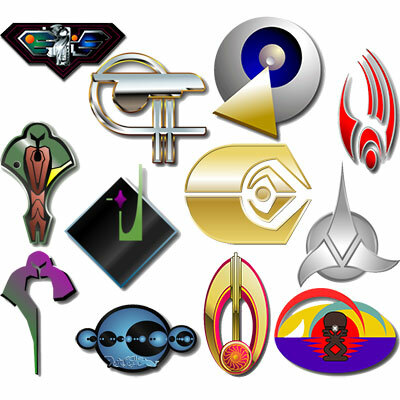 The archive contains the following civilisation logos: Borg, Cardassian, Cardassian Obsidian Order, Dominion, Ferengi, Tal Shiar, Klingon, Andor, Bajor, Risa, Trill and Vulcan. 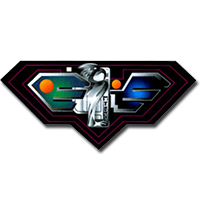 Extract the zip into your "My Documents\My Games\GalCiv2\Logos" folder. Star Trek and all Star Trek related items are the property of Paramount Entertainment. This is the logo of the Romulan Secret Service called "Tal Shiar" like seen in Star Trek.